Neale Donald Walsch is the author of Conversations with God, a phenomenal book by a remarkable man who wrote this book from his direct experience and transformational inspiration. Neale Donald Walsh was interviewed by Vishen Lakhiani, an entrepreneur, author, and founder of Mindvalley. Vishen himself is also a very inspirational figure and thus the interview had great energy and it was conducted on Facebook Live and close to thousand of people tuned in. During the interview, Vishen invited audience to post question to Neale and the way he answered them were very profound and I am moved to share this interview here as an embed video. I have transcribed only the questions and the beginning of the answers from Neale, but you have to listen to him and in full to dive deep into them. Click on the video below to play and listen to Neale. What is the biggest advice you can give us to change our lives? How do you create the most powerful reality based on your principles? By living the principles. People tend to think that manifestation is about a process where we either use affirmation as our vizualizations or guided imagery or some sort of mental process that somehow produces an outcome in our exterior reality that can work but I can say in my experience that its the long way around the Robin-hood's barn. It can get you there, but its the long way. The shortcut that I've discovered is by being, that is STEPPING INTO THE BEING OF THAT WHICH YOU WISH TO MANIFEST. The magic of manifestation is the UNDERSTANDING that which you wish to manifest YOU ALREADY HAVE, you simply don't know it. But stepping into the being of it brings you a direct experience of the having of it.. we live in an illusory world and it looks to people that they don't have what they wish to manifest, that is the great illusion. Our opportunity is to break through that illusion, not only in our own lives but to help others break through that illusion in their lives as well. How do you step into that being? Its an act of will, an act of faith, its an act of knowing... You step into your own story, but first we have to have an idea what that story is... The purpose of life in Conversations with God says is to recreate ourselves anew in the next golden moment of now, in the next grandest version of the greatest vision we ever held about who we are. The problem is most people have never held a vision of that. They don't know who they are much less have they sat down and actually written out that vision. So the tool is this, take out a pad of paper and pencil and do this in writing, not electronically, but do it on paper. Write down in a piece of paper in one short paragraph MY VISION OF WHO I AM, THE NEXT GRANDEST VERSION OF THE GREATEST VISION I EVER HELD ABOUT WHO I AM. This is who I am. And write it out specifically and then step into that story. But the reason people can't step into their story is that they don't know what their story is. They think their story is what happened to them yesterday and when they were five, when they were nine, when they were twelve, and when mommy left or when daddy died or whatever. Not making light of those tragedies but thats not who you are. So we have to step into a story that we have written for ourselves and BECOME THE AUTHOR OF YOUR OWN HIGHEST TRUTH and then step into it. Some time people are reluctant to do that, let alone share it publicly with others because it sounds almost self aggrandizing, almost self-serving. And you know what, it is self-serving. You are giving yourself a service of your self the greatest feast you could ever ask for and GOD ASKS YOU TO DO THAT. GOD SAYS TO US, TELL US ABOUT YOURSELF, TELL ME THE GREATEST THOUGHT YOU EVER HAD ABOUT YOU! How do you measure spiritual growth? By how little you need. By how little you imagine yourself to require to be totally perfectly and wonderfully joyous happy fulfilling and to be the source. 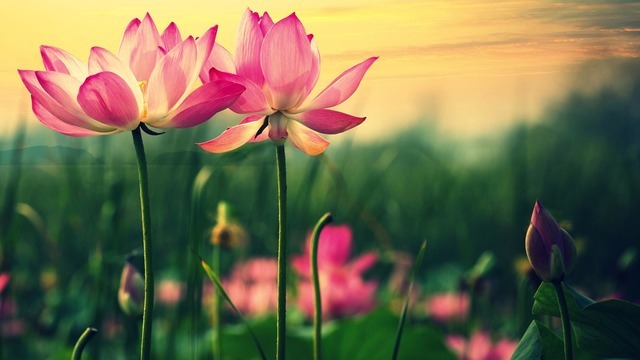 You measure your spiritual growth by how few negative thoughts pass through your mind. A person who is spiritually awake never has another negative thought, They never have another moment of inner desire for something they think without which they can't be happy. We measure our spiritual growth by how much of our life is turned towards the real purpose and the real agenda of the soul. Life is not about get the guy, get the girl, get the car, get the job, get the house, get the better car, get the better job, get the better house, get the spouse, get the better spouse, get the better spouse, get the better spouse, get the kids. get the grand kids, get the office in the corner with the name on the door, get the big business, you know successful, and finally get the grey hair, get the sickness and get the hell out. That's not what the life is about. So you can measure your spiritual growth by noticing the distance you have placed between the you you are today and all those things I've just mentioned. And by measuring how little it takes. You want to know how to measure your spiritual growth and your spiritual evolution and your spiritual advancement? You can measure your spiritual growth by noticing how little it takes for you to be happy. WHEN YOUR HAPPINESS EXPANDS IN REVERSE PROPORTION OF WHAT IT TAKES TO MAKE YOU HAPPY, see it takes nothing to be happy, then you become the source of happiness and joy and wonder and peace and prosperity and love in the lives of everyone else. Because you no longer need all this stuff you thought you needed in order to be happy. I notice that less and less every day is required by me, to be the thing I call joyous peaceful and happy. So there is a direct inverse ratio, little is needed, much is available to us to give to others. How little is necessary, how little does it take, what little does it take for me to be totally happy, totally joyous, totally fulfilled and totally one with everything. Is there anything like a karma, do we pay our mistakes in previous live in this one, or this is only what people believe to make themselves calm? Which of the 10 human myths as described in Communion with God do you think humans struggle most with right now? In our current world with the chaos that is happening, what can we do to ensure that the earth that we leave to our kids is better than the earth that we inherited? 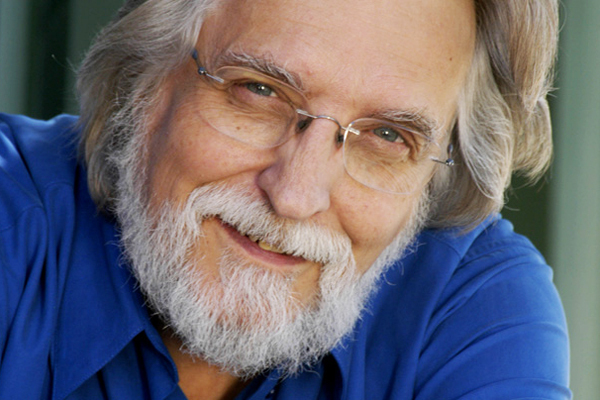 A great and insightful interview of Neale Donald Walsch, author of Conversations of God with Vishen Lakhiani.